Designer chic immersed in the peace and quiet of Noto’s countryside. Stylish, essential and perfectly proportioned... I Lentischi’s owners, both successful designers, have created the kind of soothing, modern space we know that many of our clients yearn for. Uninterrupted tranquillity and undisturbed views make this a wonderful rural getaway, though Noto and the unspoilt beaches of Vendicari Nature Reserve are just a short drive away. Inside: accommodation at I Lentischi is all on one floor. The main entrance takes one from a sheltered courtyard into a voluminous open-plan space with lofty white-painted beamed ceilings and local pietra pece stone floors. This space is seamlessly divided into two parts: a lovely, well-equipped kitchen with dining table and designer chairs, and a supremely elegant living area, with sofas, armchairs, a divan and a central fireplace. On either side of the fireplace glass doors lead out to the main shady sea-view terrace. To the right and left of the living area are three large, welcoming and luminous double-twin bedrooms, a single bedroom and two bathrooms with gloriously roomy, stone-lined showers. Outside: I Lentischi is reached via a long, winding private road, and so tranquillity and privacy are guaranteed. On one side of the house, where one enters the kitchen, is a walled courtyard offering protection when the wind gets up, whereas on the other, accessed from the living area, a large open, shaded terrace extends across the whole width of the house. Furnished for lounging and dining, this terrace boasts fabulous views across the surrounding countryside and down to Vendicari Natural Reserve and the sea. On summer afternoons, when the lowering sun burns, one side of the house provides shade and splendid sea views, while on the other one may frolic in the splendidly designed 14m-long pool. The gardens, which merge with the Elysian countryside, are planted with a rich variety of flowering Mediterranean flora and carob and olive trees. Thanks to its spacious interiors, open fireplace and central heating, I Lentischi is a great property not only for the spring and summer but also in the autumn and winter. The track leading up to I Lentischi is quite rough and so we recommend guests hire a 4x4 or at least a car with high ground clearance. I Lentischi is set in rolling hills between the fascinating Baroque town of Noto and the beautiful natural reserve of Vendicari. Noto is the most easterly of a chain of baroque towns now protected as a UNESCO World Heritage site. It is also perhaps the most perfect of the baroque towns, which were all rebuilt in flamboyant style following a major earthquake in 1693. The Vendicari nature reserve boasts some of the finest sandy beaches in Sicily, which are pleasingly under populated even in the height of summer. Vendicari is also home to thousands of migrating flamingos, and sea turtles nest on its beaches. Siracusa is just half an hour's drive away, and a day there is highly recommended to anybody spending a week or two at I Lentischi. A little further afield, the other baroque towns of Modica, Ragusa and Scicli are easily reachable in a day. "We enjoyed every minute of our holiday. I Lentischi is like home for us, this was our third year and we will be back next July. The owner couldn't be more helpful and the housekeeper is a gem." Lentischi was a perfect villa. Overall I Lentischi is a very pleasant house in a remote and quiet location and with a nice sleek design and a nice pool area. We can call I Lentischi home, this was our 4th year at the house. The owners are truly special, they always make sure all works perfectly at the house, and so does the house manager. She is also an amazing cook and I am very happy we got to eat her food one more time. I Lentischi was right up there and definitely surpassed our expectations. We were able to completely relax. We loved the location of I Lentischi and the house itself. Nothing to complain about. It was spotless when we arrived! I Lentischi is truly like home. We enjoyed fully every minute at the villa. 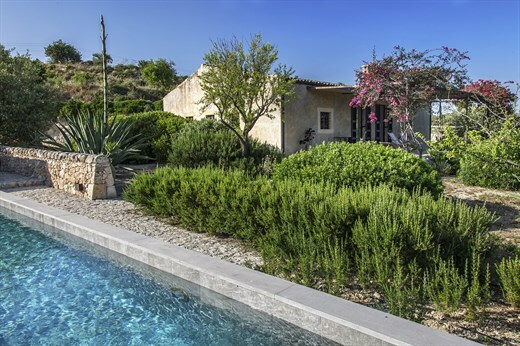 I Lentischi is a lovely villa and overall good value for money. We had a really lovely time there. We would definitely use The Thinking Traveller again. I Lentischi was so nice and the area and views around so peaceful that we stayed a lot in the house. I Lentischi was perfect. Really unforgettable holidays! We enjoyed every minute of our holiday. I Lentischi is like home for us, this was our third year and we will be back next July. The owner couldn't be more helpful and the housekeeper is a gem, we love her so dearly, she is huge help always during our stay. Everything was fantastic - 2nd time I have used The Thinking Traveller and the service they provide stands out. Specifically quality of villas, the website and concierge services. The local support was incredible. I Lentischi itself was well equipped and very clean. Location was also great. Overall would massively recommend the property and The Thinking Traveller. I Lenischi was fabulous. Very well equipped and suited all our needs. We travel a lot and felt this was one of the best holidays we have had. This was our second year in a row at the villa. We found it in great shape, it was such a pleasure going back. The housekeeper is a wonderful person, she keeps everything on track. I Lentischi is like a little piece of Eden. Exceptionally peaceful, beautifully appointed with interesting personal touches, excellently thought-out layout and with views to die for! The house itself was wonderfully cool even in 37 degree temperatures, the two terraces (by the house and by the pool) make it perfect for a group of two couples, the pool itself is wonderfully refreshing after a few hours of sunbathing.The villa was spotless when we arrived. I am very particular about details and this experience at I Lentischi has been excellent in every way. I really enjoyed everything - people, food, landscape and our villa. The villa is lovely in every way, the only big problem was not having the AC (AC has been installed since this review was received). I think we could rent it over and over because of its comforts, vicinity to Noto, great taste and grounds, the pool is my favorite of all the houses I rented. We did love the villa all around - it was great and our house manager was extraordinarily friendly and helpful. Our holiday was just great. Looking forward to our return to Sicily as soon as we can pull it off. Your company really has its act together. The pool was fantastic and we spent a lot of time in that area. We enjoyed the sunshine and the relaxing atmosphere at the villa. The boys appreciated the wifi and sky sport which was great and the kitchen was very well equipped, which was great. The meal from the in-villa cook was fantastic and we had enough food for the next day, thanks very much!! The wine delivery was fab and the wine was lovely, we would recommend both of these services. All in all we loved the villa and would recommend it to others! The villa is perfect, even with a small child. Absolutely wonderful villa that suited our needs - wonderful location - and with proximity to nearby towns and restaurants - could not be better. We enjoyed very much staying at I Lentischi! A perfect holiday, also because of the perfect service we had with Think Sicily and the caretaker of the house... Altogether, it was a perfect stay. We are thinking of another location with Think Sicily next year! Thank you! We, as well as our guests loved our time spent at I Lentischi. Amenities were excellent, the location was very private and we never tired of the million dollar view. The grounds were beautiful and we made regular use of the lap pool. The layout of the villa was perfect for two couples. I would not hesitate to recommend this villa to anyone. What we enjoyed most about our holiday? The quality / location of villa and opportunity to visit beautiful towns such as Noto and Syracuse. It was important for us to have a villa in a perfect location so that we could stay many days with the kids around the pool or go to a beautiful beach without having to drive for an hour. Hence, we wanted a well located villa with a perfect view of the country side, no neighbors, a nice pool, a safe environment for young kids and a great kitchen. The villa offered all of this. The villa was also perfect for two families because it is symmetrical with two rooms and a bathroom on each side of the common areas... I don't think any picture can render the magnificence of the view. The pool turned out to be bigger than we expected as it looks rather narrow on the website. All of the above was a 5. The house was well designed and the kitchen and barbeque were greatly appreciated as we both like to cook. The pool and the pool area were great and the terrace with the view, are perfect. It was all fabulous. We really enjoyed being at the house with it's fantastic location and views. The caretaker, was fantastic! She could not have been more helpful and welcomed us as if we were family. She cooked for us on two evenings which was great and we felt very well taken care of. Bravi, bravi: we will happily book with you again and tell many others about you. Lovely house and set up, well equipped and laid out with plenty of space and great bathrooms, beautiful views... Wonderul holiday, great locations & having a 2 villa holiday (also stayed at Casale Castelluzzo) worked brilliantly for us all. Your directions and tips in the booklets were very useful and much appreciated... it was very helpful to have the shopping done and wine ordered in advance of our arrival. Fantastic, remote location, yet we could be in the town of Noto in ten minutes. Hidden away, serene and quiet! Very good base for excursions to the Vendicari Nature Reserve, the Grand Canyon of Sicily, and the towns of Noto and Siracusa. This property is truly extraordinary in terms of setting, peacefulness, view, and interior. As a rental it is amazingly uncomplicated, without a shadow of a doubt the best private holiday rental accomodation we have stayed in. The housekeepers were wonderful. We felt so at home with them - like they have always been part of our family! The food was outstanding - fresh, authentic and delicious. Everything was wonderful! We had a wonderful time in Sicily at I Lentischi. Wir haben uns dort sehr wohl gefühlt, super ausgestattete Villa.